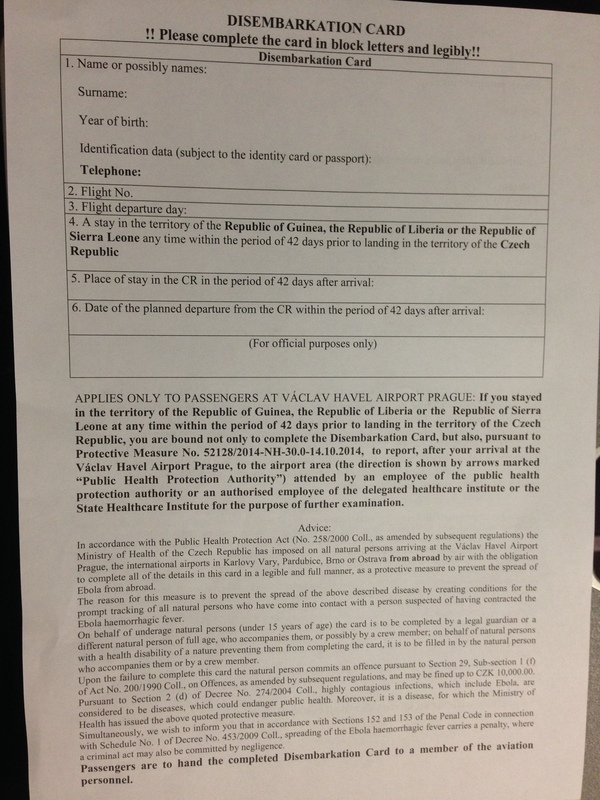 The Czech Republic have introduced a form that must be completed by all arriving passengers. I took a picture (iPhone quality) of my form before completing it – see below. The form is distributed and collected by flight attendants while you are on board – it isn’t an arrival form that you hand to the immigration officer. As you have to complete the form on board, you’ll need your passport number, the flight number and a pen handy. If you are flying on Wizz Air, your passport number is printed on your boarding pass. One frustrated flight attendant told me “the Czech authorities gave us the forms but didn’t give us any pens – and hardly anyone on board has a pen”.